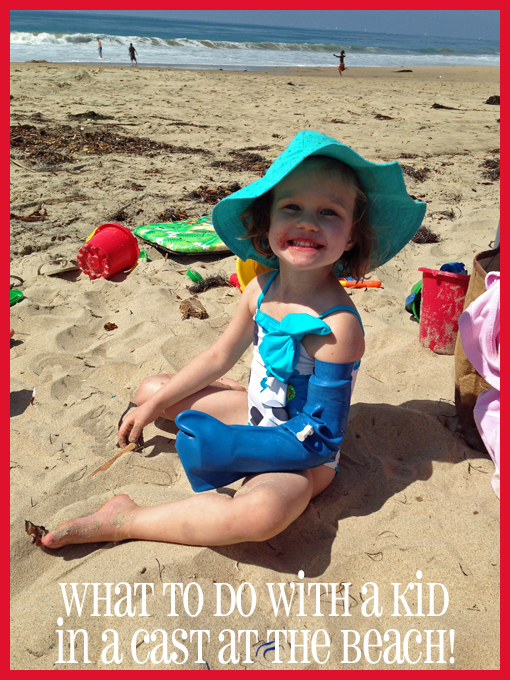 What to do with a kid in a cast at the beach! So last week took an unexpected turn when Morgan broke her elbow at the playground. It was awful. One of those stupid, freak accidents on the last minute run to the park which resulted in a 3-hour doctor visit, and a full arm cast two days later. The cover is made out of a heavy-duty latex with a vacuum seal, so literally, nothing could get in that puppy. Read Jennifer’s blogs at Tiny Oranges. The juiciest blogs for OC mom’s and their tiny oranges!